Many employers have been wrestling with plans to comply with new U.S. Department of Labor (DOL) overtime rules since last May. That's when the rules were finalized, with a December 1 compliance deadline. Those new rules included raising the minimum salary overtime exemption to $913 per week from $455. A little more than a week before the deadline for the rules was to take effect, a federal court has issued an injunction, at least temporarily blocking implementation of the changes. In its decision, the court stated it believes the DOL exceeded its authority in promulgating the rule. In addition, the court said the DOL failed to follow Congress's intent, which was to reexamine the duties test of the overtime rules, and not to focus solely on the salary level, as the final rules do. The DOL's initial response was to state that it "strongly disagrees" with the ruling, and is "currently considering all of our legal options." A couple of short-term legal scenarios remain possible: The U.S. District Court for the Eastern District of Texas, which issued the ruling, could drop its temporary injunction. Alternatively, the ruling could be kicked up to the local U.S. Court of Appeals, which could overrule or uphold the injunction. But the chances of the appeals court rendering a decision on the issue before December 1 are slim. In the longer term, the outlook is also unclear. It seems unlikely that the Labor Department under the Trump Administration would fight the ruling, though other parties might. Initial analysis of the district court's decision by Judge Amos L. Mazzant suggests that holes could be poked into the logic that led to his conclusion. At issue is the fact that the National Labor Relations Act, which laid the groundwork for overtime pay, failed to address the need to periodically adjust the salary threshold. However, a provision for adjusting the threshold was incorporated into regulations way back in 1940. Also, while Judge Mazzant took exception to the idea of periodic salary threshold adjustments in the context of exempt status, he didn't declare that it was invalid with regard to all DOL rules. In any case, employers have several issues to deal with immediately. Those issues vary according to what actions they've already taken. 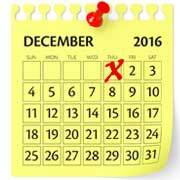 Employers that were waiting until December 1 to roll out their plans are in a better position simply to hold tight and act as if the regulations were never issued. The benefits of a wait-and-see approach are that there's no disruption to the status quo and, in most cases, there will be no spike in payroll costs. However, that approach may also bring risks, including having to scramble to make adjustments if the regulations ultimately are upheld. That scrambling might involve paying extra wages due to affected employees retroactive to December 1. Another hazard is that employees who have kept abreast of the issue (independently of any statements made by their employers) who were expecting raises or eligibility for overtime pay could be angered that this benefit was snatched away from them. Employers faced with this dilemma will need to weigh their appetite for regulatory risk, the level of financial pain that compliance with the overtime regulations would inflict, and the employee relations considerations. Drop the plan to switch them to hourly status. If salaried employees had been promised raises to bring them up to the minimum salary threshold (in lieu of moving them to hourly status), dropping plans for those raises could give rise to problems, such as damaged employee morale. Legal issues could also arise, especially if the promised raises have already been granted. For example, employers could run afoul of notice requirements under state or local laws, and possibly violate common law doctrines governing implied contracts. A compromise approach with respect to planned salary increases could be to phase in the increases instead of raising them immediately to the regulations' threshold level. If employees have already been moved to hourly wage status to comply with the regulations, before switching them back to salaried status, take a fresh look at the "job duties" test for exempt status. This test has always been in place and was not affected by the federal court's temporary injunction. Businesses could find themselves in trouble regardless of the outcome of this legal battle if salaried employees have been misclassified for reasons other than failing to meet the minimum wage threshold. How the issue will ultimately shake out is uncertain, at best. But observers in Washington, D.C., point out that although many members of Congress opposed the regulations as written, they agreed in principle that some increase in the overtime salary threshold was in order. That is, they didn't reject the DOL's legal authority to adjust the threshold, as it has done multiple times since the early days of the underlying statute. Whatever actions, or non-actions employers take with regard to the rule, it's essential to communicate as clearly as possible with employees about the issue. One basic message that would be reasonable would be for employers to explain that they are waiting for more clarity on the legal front before making any big decisions. Employment attorneys are monitoring the issue carefully, and are an essential resource to take advantage of before taking any irreversible action.